The American soprano Amanda Forsythe sings Euridice on the recording of Charpentier’s La descente d’Orphée aux enfers with Boston Early Music Festival which won the 2015 GRAMMY AWARD for Best Opera Recording. She has been praised by Opera News for her “light and luster”, “wonderful agility and silvery top notes”. She was a winner of the George London Foundation Awards and was sponsored by them in her New York recital début. She also received prizes from the Liederkranz Foundation and the Walter W. Naumburg Foundation. Amanda Forsythe made her European operatic début in the role of Corinna Il viaggio a Reims at the Rossini Opera Festival in Pesaro which led to an immediate invitation to make her début at the Grand Théâtre de Genève as Dalinda Ariodante where she was proclaimed “the discovery of the evening” (Financial Times). She returned to the Rossini Opera Festival to perform the role of Rosalia L’equivoco stravagante and Bellini duets in the ‘Malibran’ recital at the invitation of Joyce di Donato, and, most recently, Jemmy in the new production of Guillaume Tell for which she received considerable critical acclaim. Amanda Forsythe made her débuts at the Bavarian State Opera, Munich as Dalinda Ariodante and as Barbarina Le nozze di Figaro at the Royal Opera House, Covent Garden and the Theatre des Champs-Elysées in Paris. She returned to Covent Garden to perform the roles of Manto in Steffani’s Niobe, regina di Tebe under Thomas Hengelbrock and Nannetta Falstaff under Daniele Gatti, described by Gramophone Magazine as “meltingly beautiful”. She also sang Nannetta for Opéra d’Angers-Nantes. 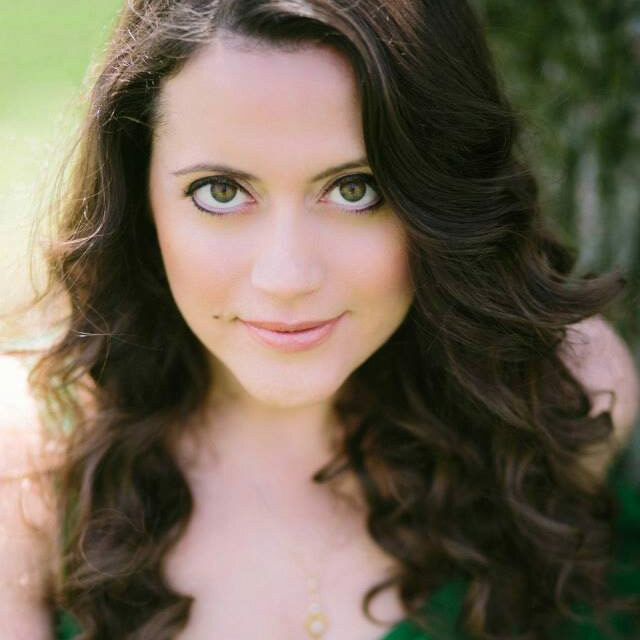 Amanda Forsythe made her USA stage début with Boston Early Music Festival, where her roles have included Niobe and Manto (recording) in Niobe, regina di Tebe, Aglaure in Lully’s Psyché, Venus Venus and Adonis (John Blow), Drusilla L’incoronazione di Poppea, Pallas in Eccles’ The Judgment of Paris and Edilia in Handel’s Almira, for which she received rave reviews. Amanda Forsythe’s operatic repertoire also includes Iris Semele, Poppea Agrippina, the title role in Partenope, Amenaide in Rossini’s Tancredi, Bastienne Bastien und Bastienne, Serpina La serva padrona, Ninfa/Proserpina Orfeo (Monteverdi), Amore Il ritorno d’Ulisse in patria, Oberto Alcina, Dafne Apollo e Dafne, Atalanta Xerxes, and roles in Les Indes Galantes and The Fairy Queen. Amanda Forsythe created the role of Young Margarta/Nuria in Osvaldo Golijov’s Ainadamar, a role which she later repeated with the Los Angeles Philharmonic and the Calgary Philharmonic. She also received high critical acclaim for her début as The Angel in the North American première of Peter Eötvös’ opera, Angels in America. She has also sung world premières by John Austin and Elena Ruher, and recorded songs by the composer Ken Sullivan. Amanda Forsythe’s concert engagements in North America have included her recent débuts at the Tanglewood Festival and Lincoln Center in the title role of Teseo with Philharmonia Baroque, and her début with Seattle Symphony in Handel’s Messiah. Other highlights have included Dorinda Orlando and Handel’s Il trionfo del tempo with Early Music Vancouver, Dafne Apollo e Dafne with Pacific Musicworks, and Haydn and Mozart arias with Apollo’s Fire, Handel arias with Portland Baroque Orchestra, Mozart’s Mass in C Minor with the Handel and Haydn Society, and Haydn’s Creation and Messiah with the Charlotte Symphony. Overseas major concert engagements have included Alexander’s Feast with the Ulster Orchestra and L’allegro, il perseroso, ed il moderato with the Netherlands Radio Chamber Philharmonic, both under Kenneth Montgomery, Rossini Arias at Gran Teatro la Fenice in Venice, Scarlatti Pastorale per la natività and arias from Messiah with the Brabants Philharmonic Orchestra in the Netherlands, and Mahler Second Symphony with L’Orquesta Sinfonica Nacional de Mexico. Amanda Forsythe is a regular soloist with the highly acclaimed baroque ensembles Philharmonia Baroque, Apollo’s Fire, Boston Baroque and Pacific Musicworks. Her concert repertoire also includes Handel’s Israel in Egypt, Mozart’s Exsultate Jubilate, Vivaldi’s Nulla in mundo pax sincera, Pergolesi’s Stabat Mater and Orff’s Carmina Burana. Amanda Forsythe recently returned to the Royal Opera House, Covent Garden, as Amour in Gluck’s Orfeo under Sir John Eliot Gardiner, a role she repeated in concerts with the Monteverdi Choir and Orchestra on tour. Earlier last year she made her début at Seattle Opera as Iris Semele which resulted in an immediate invitation to return to sing Pamina Die Zauberflöte in 2017. She also recently sang Poppea L’incoronazione di Poppea for Boston Early Music Festival, and Poppea Agrippina for Boston Baroque. Later this year she returns to the Accademia Nazionale di Santa Cecilia to sing Marzelline in concert performances of Fidelio. Opera engagements in 2017 include Isabelle Le Carnaval de Venise (Campra) and a Pergolesi Double Bill with Boston Early Music Festival. On the concert platform, Amanda Forsythe recently made her début with the Accademia Nazionale di Santa Cecilia in Rome in performances of Bach Magnificat under Sir Antonio Pappano. In January 2016 she makes her début with The Boston Symphony under Andris Nelsons in Mendelssohn’s A Midsummer Night’s Dream, following a tour of Mozart Requiem and Mass in C minor with the Monteverdi Choir and Orchestra under Sir John Eliot Gardiner. Other forthcoming concert engagements include Messiah with Philharmonia Baroque and Kansas City Symphony, Bach Cantata 51 and Vivaldi’s Gloria with Seattle Symphony, Handel and Vivaldi Concert arias and performances and a recording of Bach St John Passion with Apollo’s Fire. Amanda Forsythe’s recordings include the 2015 Grammy-winning CD of Charpentier’s La déscente d’Orphée aux enfers, as well as Venus Venus and Adonis, Aglaure Lully’s Psyché, and La Grande Pretresse in Lully’s Thésée with Boston Early Music Festival (all for CPO), Manto Steffani’s Niobe with BEMF (Erato), the title role in Handel’s Teseo with Philharmonia Baroque (PBO’s own label) , Mozart’s Lucio Silla: In un istante Parto, m’affretto and Messiah with Apollo’s Fire (Avie), Minerve Dorinda Handel’s Orlando with Early Music Vancouver (ATMA) and Haydn’s Creation with Boston Baroque (Linn). She also sings on the DVD recordings of the Pesaro productions of L’equivoco stravagante and Guillaume Tell as well as Manto in the Royal Opera production of Steffani’s Niobe (Opus Arte). In Autumn 2015 her début solo recording of Handel arias with Apollo’s Fire will be released on the Avie label.